Back by popular demand: the four-part "GrantReady" workshop series provides a supportive learning environment for nonprofits to acquire the tools and skills needed to become more competitive for grant funding, and better prepared to operate and evaluate their programs and projects. NEOEDD offers this series at the Union County Transit Center, 2204 East Penn Avenue in La Grande, on Mondays, Aug. 6 to 27, from 10:30 a.m. to 4 p.m. Lunch will be provided. The cost for the four-part series is $100 for the first participant from each nonprofit, with a discounted rate of $50 for each additional participant. A limited number of scholarships are available; contact Lisa Dawson if interested. Register here. Do you wonder what people mean by "DEI"–diversity, equity and inclusion? Do you want to feel more comfortable talking about race, gender, class, sexual orientation, and/or migration? Are you curious about how your organization can have more mission impact and become more sustainable by harnessing DEI principles and practices? NEOEDD brings two different events to explore DEI topics, one for nonprofits and one for the general public. NEOEDD continues its roundtable discussions for nonprofit volunteers, boards, and staff members to learn, share, and discuss DEI methods and strategies. The next roundtable will be held Wednesday, Aug. 1 from 10 a.m. to 2 p.m. at The Place, 301 S Lake St. in Joseph. Trainers Anita Yap and Traci Price will provide tools and strategies for diverse community engagement, information on understanding and interrupting microaggressions, how to make a business case for DEI, and how to make an action plan. The cost to attend is $25 per person and includes lunch. Scholarships are available; please inquire at NEOEDD, 541-426-3598. Registration information here. 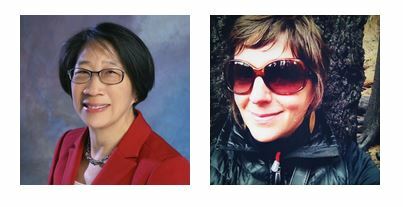 Second, NEOEDD is hosting the Oregon Humanities Conversation Project "Race and Place: Racism and Resilience in Oregon's Past and Future," led by Anita Yap and Traci Price, in La Grande at hq, 112 Depot St., on Aug. 1. This event is free of charge; no registration required. The public is welcome. Future DEI roundtables are scheduled for Nov. 7, 2018, and Feb. 6, 2019--save the dates! Anita Yap and Tracy Price lead conversations about "race and place"
Business Foundations, our super-popular workshop series for entrepreneurs, returns in the fall! Look for registration details in the September newsletter. Good decision-making is based on good data! NEOEDD seeks a temporary, part-time business professional to act as a liaison for Baker County entrepreneurs and small businesspeople, and connect them with resources and financial options. If you are interested in learning more about this position, please contact Lisa Dawson at 541-426-3598 or email. If you've looked at NEOEDD's website lately, you'll see that it needs to be refreshed. NEOEDD is seeking the services of a web designer. If you are interested, contact kristyathens@neoedd.org for the Request for Proposals. 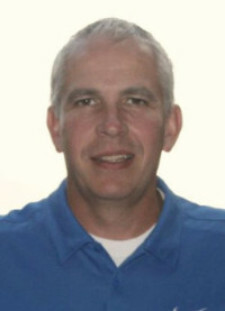 Find out more about NEOEDD's loan programs on our website, or by contacting Loan Officer Mike Ogan (pictured below) via email or 541-519-7699. NEOEDD/NOBD is an Equal Opportunity Lender, Provider, and Employer. Business Oregon is looking to recognize employers that recruit veterans. If you know of one, contact Brian at 541-962-5020. Travel Oregon offers monthly webinars of instruction for their OR Tourism Information System, or OTIS, which is a collaborative platform used for sharing and maintaining Oregon’s tourism assets. Remaining 2018 dates are Aug. 1, Sept. 5, Oct. 3, Nov. 7, and Dec. 5 at 10 a.m. Click here for more information. Baker County Business Round Table and Baker County Employer Council meet the second Tuesday of the month (Aug. 14) at 8 a.m. at The Little Bagel Shop. Call the Chamber of Commerce office at 541-523-5855 for more information. Spotlight Travel Network will hold the 2018 Spotlight on the Northwest in Pendleton Aug. 26-28. Click here for more information. NEOEDD's board meetings are open to the public. Next meetings: Sept. 27 (Enterprise), Dec. 6 (La Grande). Contact the NEOEDD office at 541-426-3598 for more information. The OR Secretary of State's office offers "Notary Basics" at 9 a.m. on Oct. 2 in Enterprise. Click here to register. Oregon businesses that are owned by a woman or man who is a member of a racial minority may qualify for government or business contracts as a MWESB. Click here for more information. WorkSource Eastern Oregon staffs an office in Enterprise Wednesdays and Thursdays, weather permitting, from 10 a.m. to 2 p.m. at the Prairie Creek Center, 104 Litch St. Contact Matt at email or 541-963-7111 x239. Baker City's office is at 1575 Dewey Ave., 541-523-6331. La Grande's office at 1901 Adams Ave., 541-963-7111. 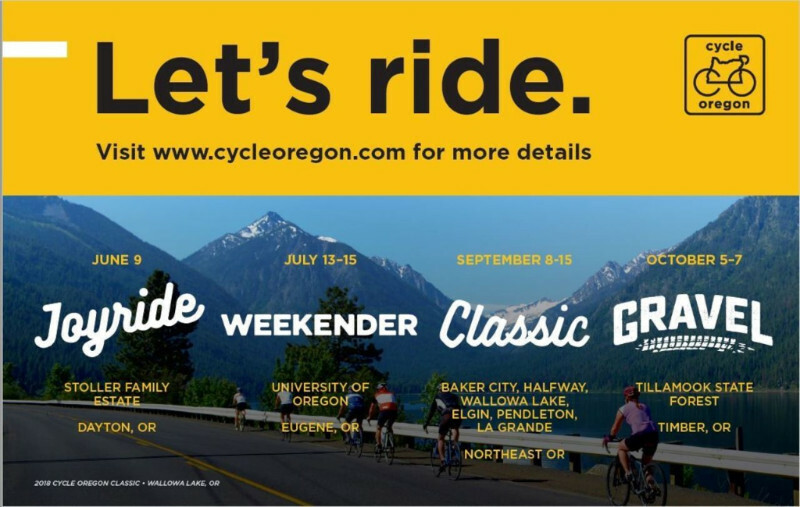 Travel Oregon's Competitive Small Grants deadline is Aug. 29. Click here for more information. Slow Food Wallowas offers a $1,000 grant to support a Wallowa County farmer/rancher who is working to increase capacity to offer locally raised food. Email to request an application. Deadline Aug. 31. 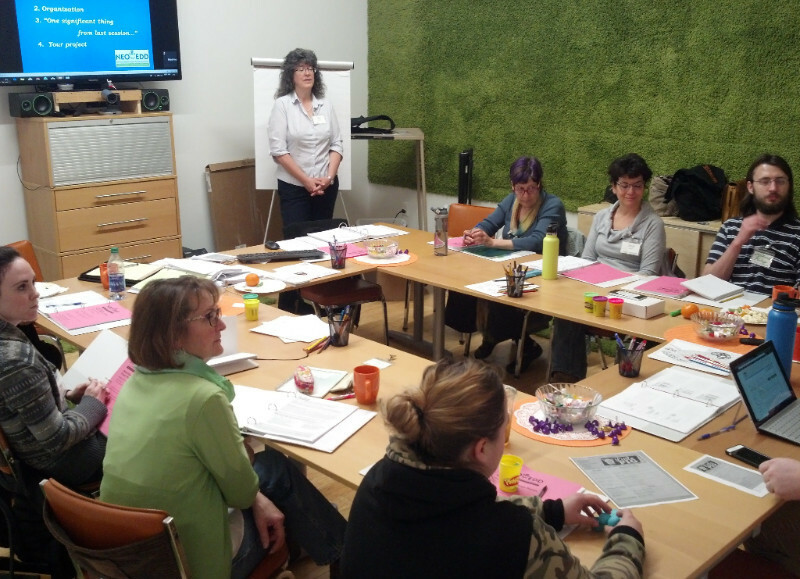 Oregon Arts Commission's Career Opportunity Grants have rolling deadlines of Aug. 31 and Apr. 5. Click here for more information. U.S. Bank grants are available to support three focus areas: Home (open Jul. 1 to Aug. 31; click here); Play (open Feb. 1 to Mar. 31; click here); Work (open Apr. 1 to May 31; click here). Oregon Humanities offers Responsive Grants to organizations with budgets of less than $500,000, and based in and led by either communities of color, rural communities, or English language learners. Requests accepted through Sept. 30. Click here for more information. Wildhorse Foundation grant deadlines are Oct. 1, Jan. 1, Apr. 1, Jul. 1. They fund projects in a variety of areas in Union and Wallowa counties, and with Tribal entities. Click here for more information. The Oregon Cultural Trust has coalitions in all Oregon counties and Tribes that distribute arts and humanities grants within the community. In Wallowa County, the deadline is Oct. 31; click here for more information. In Union County, the deadline is Nov. 1; click here for more information. In Baker County, the deadlines are Dec. 15 and May 15; click here for more information. Soroptimist International Live Your Dream award is available to women who are the primary income earner and enrolled in higher education or training. Deadline Nov. 15. Click here for more information. Oregon Main Street Revitalization Grant supports downtown revitalization efforts in communities participating in the Oregon Main Street Network. Application deadline: Winter 2019. Click here for more information. Job Corps is a free, residential job training program based in Nampa, Idaho. There is an orientation session the first and third Tuesday of every month (Aug. 7 and 21) at 11 a.m. at WorkSource Oregon in La Grande, 541-963-7111. Eastern Oregon University and Portland State University have created an Urban-Rural Ambassadors Summer Institute, a six-credit residential summer institute for undergraduate students, Sept. 6-15. Click here for more information. Soroptimist International of La Grande offers scholarships for female high school seniors and continuing students who attend Eastern Oregon Univ., and people of all genders attending trade school. Deadline Apr. 1, 2019. Click here for more information. CASA of Oregon offers student loan coaching remote sessions (requires high-speed internet). $25/hr. Register here. Oregon InventOR supports student inventors. Click here for more information. Oregon Trail Electric Cooperative offers college scholarships to members of OTEC or dependents of members. Click here for more information. Eastern Oregon University's scholarships website is here. Oregon Law Help provides free legal information to people with low incomes. Click here for more information. Legal aid is also offered by Oregon Law Center in Ontario, 888-250-9877, and Legal Aid Services of OR in Pendleton, 800-843-1115. Monthly outreach to La Grande, Elgin and Enterprise; call the Pendleton office for appointment. NW Farm Credit Services releases a new Market Snapshot quarterly here. 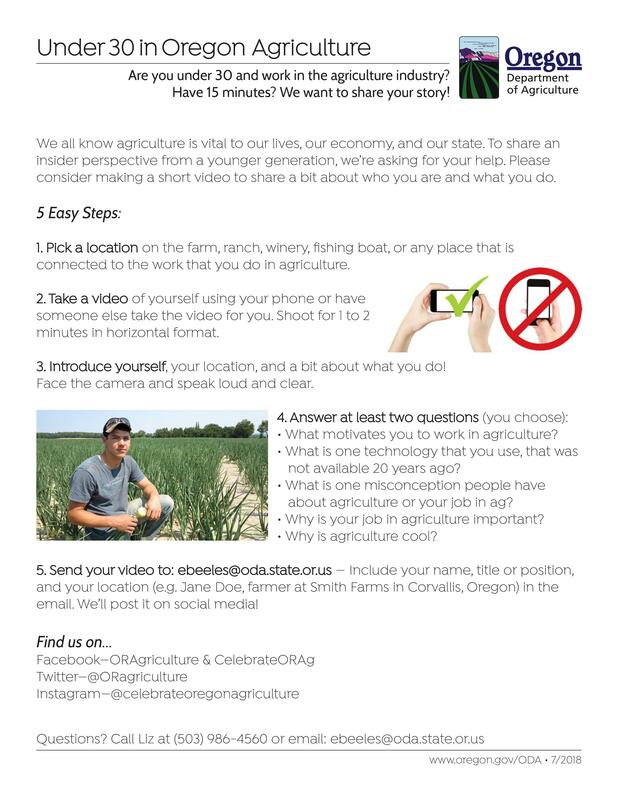 Oregon Farm Bureau publishes an online buyers' guide--click here. NE Oregon Area Health Education Center offers numerous education and career preparation opportunities year-round. Click here for more information. OregonSaves gives Oregonians whose employers do not offer a retirement option a way to save for retirement. Payroll deductions are deposited into a Roth IRA. Click here for more information. Learn more about the USDA's Microloan program for small farmers here and Business Oregon's Beginning and Expanding Farmer Loan Program (Aggie Bonds) here. Looking for a job? Try the Oregon Dept. of Employment's job listings; click here for more information. Lowry Job Development Services is based in Baker City; call them at 541-519-4343. There is a group on Facebook called "Wallowa County Employment Opportunities." Mac's List is another great resource, though most of its listings are for the Portland area; click here for more information.